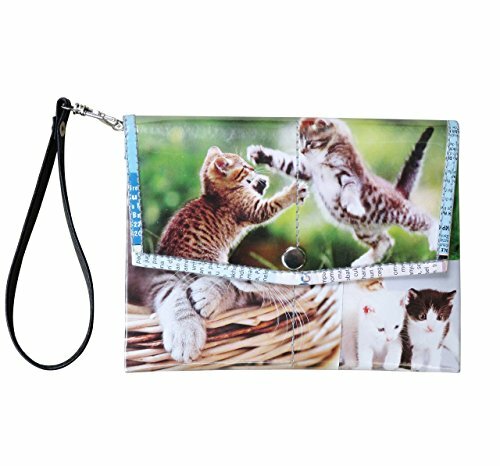 Small snap button wristlet made using images of cats and kitten that we cut out of pet lovers magazine issues. Covered with clear plastic for protection. A detachable wrist strap made of vinyl.